The Ben Whishaw-voiced bear is back for a fresh new outing, complete with more adorable lessons and a positively Wes Anderson-ian feel. Less than a week into the new year, and it’s already here: the best film of 2018. 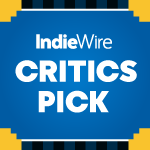 Surely there will be others, but for now, Paul King’s charming followup to his charming 2014 original feature, based on the beloved children’s stories penned by author Michael Bond, is as good as it gets among new releases. The rare sequel that improves upon the original, and in turn makes the still rarer case for a franchise to continue on as long as it possibly can, “Paddington 2” is about as clever and sweet a crowdpleasing as any movie — not just one primarily aimed at the younger set and their families. Opening with a flashback — “many bear years ago” — King’s film reintroduces us to both a very young Paddington (voiced by Ben Whishaw) and the kindly older bears that raised him after a heart-pounding adventure left him in their care. It’s an important reminder of where the cub came from, and also why he remains so dedicated to both Aunt Lucy and Uncle Pastuzo, even now that he lives so very far away in London with the dedicated Brown family. The lessons that Paddington happily imparts wherever he goes — including Aunt Lucy’s lovely old chestnut “If you’re kind and polite, the world will be right” — can all be traced back to “darkest Peru,” and that Paddington never wavers from what’s most important to him is both the backbone and the heart of the franchise. Let’s hope that never changes. As it turns out, things in London are great, and “Paddington 2” quickly updates the audience on what’s happened since the first film ended, zipping through the Brown family’s current happenings (via snappy stop-motion, adorable animation, and the odd newsreel or two, “Paddington 2” is awash in clever visual aids) and making it clear just how wonderfully their young bear fits in with the family and the rest of their neighborhood. Paddington’s latest adventure soon reveals itself: he needs money to pay for a special birthday gift for Aunt Lucy, a dazzling “popping book” that illustrates the London he loves and that she’s yet to see. It’s a pricey item though, having long been thought missing after the death of its creator, who also started up a luxe carnival that happens to be arriving in London that same week, but Paddington is determined to have it. If there’s anything at all amiss in King and Simon Farnaby’s screenplay, it’s a slightly convoluted start that centers on the book, the carnival, Paddington’s attempt to make money, and the eventual introduction of Hugh Grant’s dastardly villain, evil actor Phoenix Buchanan (everyone in the movie is obviously have a wonderful time, but no one is having as good a time as Grant). Infused with a candy-colored sensibility that shares more with Wes Anderson films than any other current kids-leaning franchise and a sense of humor to match, “Paddington 2” ticks right along through its initially dense plot, eventually settling on a compelling narrative that allows both Paddington and all those around him to learn some big lessons and have fun while doing it. And there are a lot of people around him, including the darling Brown family (with Sally Hawkins shining brightest, thanks to Mrs. Brown’s continued gameness and a last act stunt that looks like something pulled directly from “The Shape of Water”), Phoenix taking on multiple personalities in order to enact his grand plan, and the motley crew of prisoners Paddington befriends in the clink (most notably, Brendan Gleeson as a fellow chef). Paddington’s ability to positively impact people is so profound that it can’t help but stretch out towards the audience, too. We may know that being kind and polite doesn’t always set the world right, but damn if that little bear doesn’t make you want to try. All the better if it can come with a marmalade sandwich and a well-earned hug from the family that loves you, terrible grooming habits and all. “Paddington 2” opens in theaters on January 12.